Eight YMCA Teen Leaders clubs exist in Hillsborough County, and all of them are having a friendly fundraising competition at the end of next month. With the annual Teen Leaders 5K coming up, the Plant City branch is looking for the win — and they could use some help. 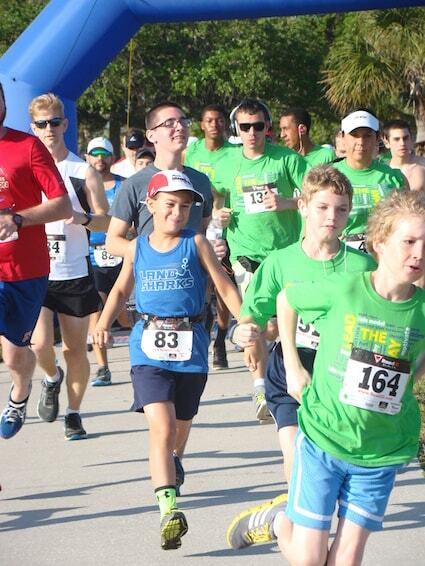 The Teen Leaders 5K was created in 2013, a year before Plant City’s YMCA got its own Teen Leaders Club. Last year, members like Emily Colburn attended the 5K for the first time and got hooked. After participating in that event, Colburn and her 10 colleagues are working hard to help make this year’s event a success. The members of the eight Hillsborough clubs, ages 12 to 18, meet once a month to plan out every aspect of the 5K, from the venue to the snacks and t-shirts. All of the money goes to the individual clubs. In a mix of car washes, dance marathon events and more, the Teen Leaders 5K is one of the best shots these clubs have at raising a lot of money each year. Since none of the clubs are given money from their corresponding YMCA facilities, everything they want to do as a group has to be funded with a strict, do-it-yourself approach. The big goal for Plant City is to raise enough money for the group to take a trip to North Carolina to visit to the Blue Ridge Leaders’ School where similar YMCA clubs from all over the eastern United States go for workshops, classes and other character-building activities. Colburn said that about 50 Plant City residents signed up for the 5K through the Plant City YMCA in 2014, though there could have been more. At the time, the club wasn’t aware that runners could choose to represent Plant City at the click of a button online. Now, they do. The goal for 2015 is to improve upon that number. So, the club is doing whatever it can to make sure that the $20 from every registration fee it’s responsible for goes to the right place. They’re also hoping that a bigger turnout can lead to more interest in the club, which would lead to more members joining up. When: 9 a.m. Saturday, Feb. 28 (check-ins begin at 8 a.m.). Cost: $20 per person. Register online by Feb. 3 with the promo code “YMCA” and get $5 off. To register: www.tampaymca.org/leaders5k. Make sure to select the Plant City YMCA at the prompt.